← Readers, Help Me Decide. Is Simpler Better? 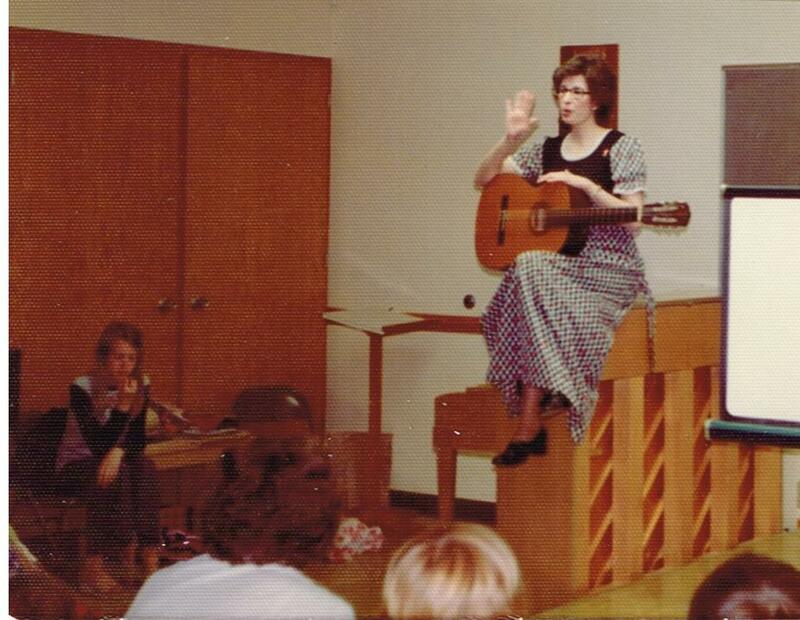 So by popular demand…well, actually because Dr. Gary Huxford asked…here are the lyrics to that song that takes you back to 1973 in Monmouth, Oregon, to the school then known as Oregon College of Education, and the young Mormon girl who couldn’t find a man. I’m trying to go to school and still have fun. I get those Maybe-I-Ought-to-Break-Down-and-Go-to-Utah Blues. I teach the three-year olds in Sunday School. I’m trying to keep the faith and still keep cool. Under the age of ten. “OCE, We Hail Thee.” I wouldn’t want to roam. You’ve become my second home. On a few more Saints and less Gentiles. Preparing for my Sunday meetings. Have vowed to find the perfect man for me. Still, deep down in my heart, I want to stay. But I thought of one the other day. I’m not really going to go. For all the men at BYU…. Wash my mouth out with soap. I’ve got those Maybe-I-Ought-to-Break-Down-and-Go-to-Utah Blues! Dr. Huxford, if that’s not enough to help you remember the tune, I guess I’ll have to get a Sound Cloud account…. Coincidentally, a high percentage of friends I grew up with in Oregon, live in Utah now. And our California friends who think of Marc and me as Utahans? Now you know how that happened: I broke down in 1977, and there was Marc at BYU. Note: This article was originally published in Sue Scribbles on May 6, 2013. This entry was posted in Mormon Humor, The Writing Process and tagged Monmouth Oregon, Mormon humor. Bookmark the permalink. You must learn how to post a video. TMIOTBDAGTU Blues sung by a 60 year old? I might have to audition the Young Women to find someone who could pull it off! Thanks so much for giving us the words to your famous song. A posted video is a good idea, or you could resort to making an old fashioned audio cassette recording and sending it to us! I know that’s pretty archaic, but so are we! Kath, I’m truly honored! I’ve been surveying some great blogs out there, and I really look forward to passing this along to other writers. I appreciate your encouragement so much. Great lyrics–and picture. It’s fun to see you sitting on the piano. Very good. Have you tried making a video to post? My daughter is coming in June, and she has promised to help me post a video. Thanks for the encouragement.